Applying makeup could be a tedious job. If you know to use it correctly, then makeup is not a complicated business. 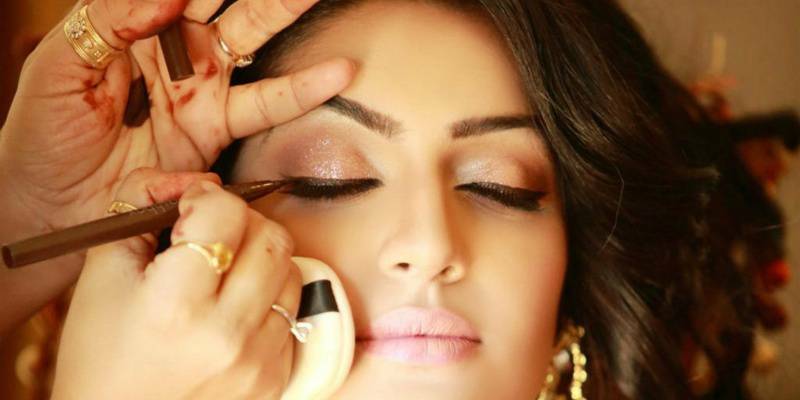 There are some rules and regulations to be followed before applying makeup. Have you wondered whether you are applying your makeup correctly? Maybe you are not. Let us guide you how to apply makeup correctly. Before starting, evaluate to which place you are going today. Evaluate the time of the day and the dress code you are wearing for this place. Before applying makeup, apply moisturizer and primer. Apply foundation all over the face and on the neck using filbert brush. Apply concealer under your eyes. Apply in a triangle manner this is the best technique that ensures the fresh look and grabs attention towards your eyes. Along the cheekbones, apply the highlighter in the eyebrow, chin. Apply contour powder alongside your nose. It is recommended not to highlight your cheekbones more if they are already evident. Apply a shimmery shadow. Using a fluffy dusting brush, dust a brown crease, as this color suits every skin tone. Some key points are while applying highlights straight on top or under the shadow, helps to recognize the structure well. Liquid Eyeliners comes in various colors choose the color that suits you, have fun with it! It is the same for mascaras too. Determine which one suits your style and choose to be chic. Remember, no makeup is right without the correct base. So from foundation to eye makeup to end finish with lipsticks and mascaras, if the correct makeup was done, you are set to rock the place with your beautiful, stunning look.